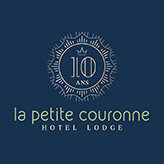 Our hotel is situated in the region Landes Chalosse, between the Atlantic Ocean and the Pyrenees. Our area is close to Mother Nature; the obvious agriculture and the regional gastronomy are among witnesses. We want to keep the environment in the state as it is now. Therefore we have taken a number of actions. Use of energy and LED bulbs. The water in the hotel is heated by solar panels. Organic oil is used in the mattresses. The cover is made of bamboo cotton. The construction of wood is chosen for the sustainable way of building. A lot of space and green around us. Dutchtub; an outside tub heated with wood. We like to go a step further and that is why we have chosen for the European Ecolabel for tourist accomodations. 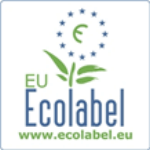 This label is a official environment mark, certified by the AFNOR in France, and valid in Europe. Actions, you might imported at home full or partially. We find it important and logical that these environmental friendly activities continue during your holiday. Living sustainable is not difficult. It is just a good live with chosing for the better alternative. Of course we are at your disposal to exchange our views and actions taken. Our hotel is member of the Club of Ecolabel Accommodaties. You find our collegues in the Southwest of France on this website : www.ecotourisme-sudouest.com.